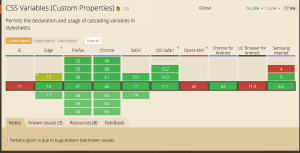 CSS variables, or “CSS Custom Properties”. 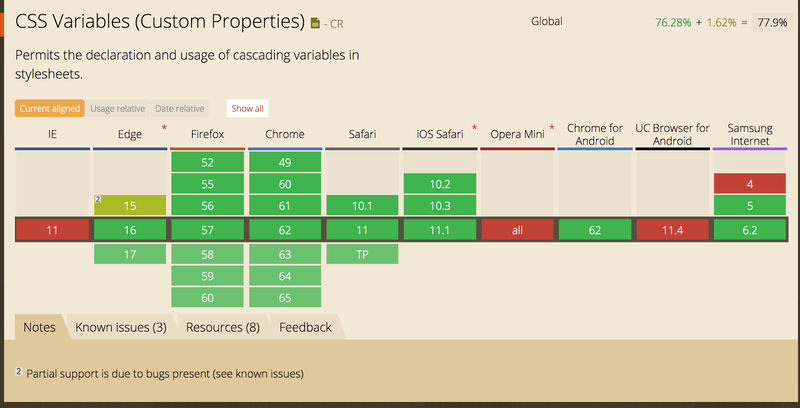 It allows you to work with variables directly in CSS. They are very useful for reducing repetition in CSS, and also for powerful runtime effects like theme switching and has a various polyfilling future CSS features. It believes in the principle DRY — Don’t Repeat Yourself. With the help of CSS Variables, you can localize values and simplify initial development, iterative testing, and later maintenance all in one go. It is also officially a part of the CSS specification. So, let’s explore. Here I’ve defined two CSS variables which have color values inside the :root selector. The variables are defined inside and are scoped with their respective selectors. Note that CSS variables are case sensitive unlike other CSS properties, so –maincolor and –Maincolor are considered two different variables. And to use a CSS variable, we need to wrap its value in the var() function and pass the variable name into it. 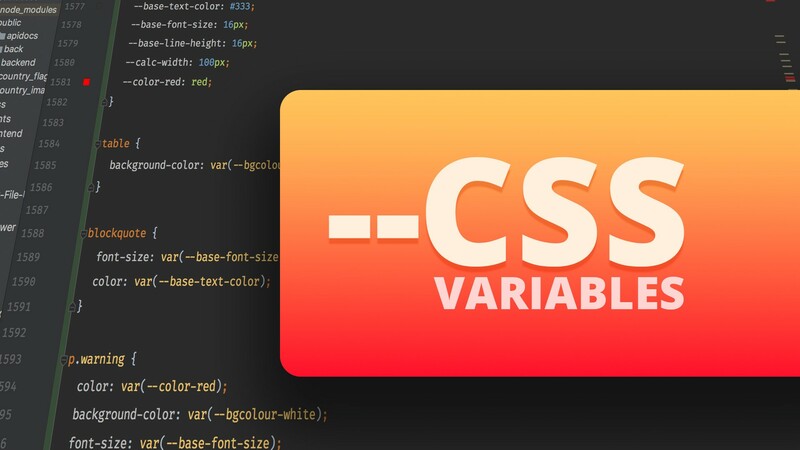 After that, we can select the desired CSS property and utilize this variable’s value. 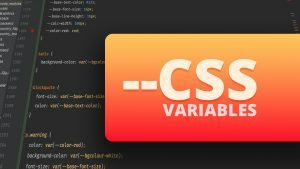 CSS variables act like a normal style property; a variable is available anywhere down the cascade. Here we have defined the same –darkborder CSS variable twice inside two different selectors. Due to cascading rules, the one inside the BODY selector has a higher specificity, and wins out when used in the IMG element. CSS Variables also inherit by default, so the value of a CSS property defined on a parent element also applies down to the children when used in those elements. We can use this type of pattern for the CSS Variables media queries where all change is happening in-browser, and the variables do know about the conditions under which they are being used. And this prevents us from the repetition of the selectors rather than the properties. Everyone will be happy now ! Well thats a lot of green signal to test it out. By coming this far I hope you are excited to explore the advantages of CSS Variables. So I suggest you give it a try in your project and enjoy! If you have found this blog very helpful then please feel free to share your thoughts and opinions and leave me a comment if you have any problems or questions.